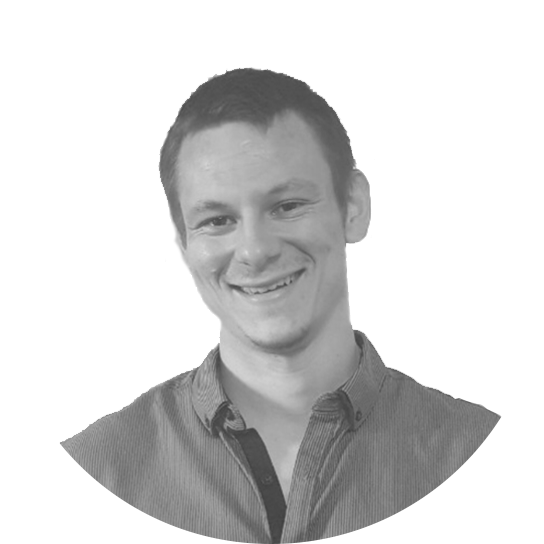 Marius is the founder and CEO of Swell Marketing, a done-for-you Facebook advertising agency for mortgage brokers. Thanks to his extensive experience with mortgage brokers, he knows more than just about anyone when it comes to lead gen in the lending market. Ok, so when it comes to lead gen for mortgage brokers, you have a few different options at your disposal... however, not all options are created equal. In fact, if you execute on the WRONG lead gen strategy, you won’t get very far. You might even burn a hole in your wallet in the process. Because some of these options are not cheap. With that in mind, I’m going to start with what I believe is going to be the LEAST effective lead gen strategy for mortgage brokers in 2019 and work my way down to the MOST effective. Organic lead gen generally means free lead gen. It includes writing blog posts, posting on Facebook and Twitter, stuff like that. Since it’s “free”, it attracts quite a few mortgage brokers. But the sad fact is that organic is anything but free. While you don’t have to spend money to post on your website or Facebook page, think about the time it takes to write a post. That’s time that could be better spent elsewhere... such as serving clients or meeting with new leads. To make things worse, organic isn’t even that effective.That is, unless you already have a huge audience on Facebook or a massive email list. If you don’t have a large audience, I’m sorry, but organic is going to be a waste of your time. People are literally going to Google searching for “mortgage” and “loans”. What could be a better lead than that? The only problem is that big banks understand the value of these leads just as much, if not more, than we do. That’s why they can outspend small operators like us by a factor of 10-to-1... often bidding $100 or more PER click. Can you afford that? If not, it’s just not a viable market to enter. You COULD try one of those cold-calling centers in India... but don’t get your hopes up. There are a few issues with cold calling centers. First, the leads aren’t very high quality. The employees use a fairly generic script and don’t pre-qualify anywhere near enough. So you end up with leads who aren’t that warm at all. That makes the transition from cold caller to you difficult and awkward. Often, the prospect is confused and simply disappears... spooked out. Second, even though they’ll occasionally turn up a good lead, they’ll sell the same lead to another mortgage broker... halving your chances of converting the lead into a client. Pricing-wise, it works differently to Google Ads and depends on the criteria that you’re after. As a general rule, you can expect to pay $50 to $150 a lead. In my opinion, Facebook Ads is where the magic happens. Never before have we been able to target SO many people in SO many specific ways. For example, did you know that you can target a 37 year old married man who lives in a specific suburb in your city, who has a university degree, and reads business and investment magazines? The possibilities are limitless. With that in mind, it’s no wonder mortgage brokers are flocking to Facebook, desperate to cash in on the massive opportunity for lead gen. However, just because Facebook allows you to target hundreds of millions of prospects in granular detail doesn’t mean it’s easy. In fact, I’ve met a surprising number of mortgage brokers who lost thousands of dollars on Facebook before throwing in the towel, swearing to themselves and anyone who’ll listen that it doesn’t work. If they did manage to find some success with Facebook, they ran into a different issue. They ended up spending all their spare time managing their FB ads campaigns instead of dealing with clients. Plus, don’t even get me started on the automation aspect. Even if you somehow manage to crack the code with Facebook Ads, you’ll still be faced with the monumental task of setting up the automation. Getting the lead is the easy part, getting them to respond is where the rubber meets the road. For example, did you know that it takes 4-5 touch points before a lead becomes responsive? So you’ll have to send them a series of emails and text messages once they become a lead. Sure, you can do that manually, but it’s a huge timesuck and you’re better off automating it if you know how. If you forget to do it (and let’s face it, stuff always falls through the cracks), then you can kiss your leads goodbye. With everything I’ve just mentioned, I don’t know why anyone would ever attempt to do it themselves. You’re better off finding someone to do it for you. This is where the power of Facebook truly shines. Yes, you could learn how to use Facebook Ads yourself... but wouldn’t it be smarter, more effective and just plain better to hire an expert to do it for you? I mean, you wouldn’t advise your clients to figure out their mortgage themselves would you? So why would you try to run your own Facebook Ads? Instead of doing it yourself, hire an expert... ideally someone with a solid track record, plenty of experience and a laundry list of case studies and success stories. They pay a monthly fee and I send them leads. It’s that simple. They don’t have to worry about dealing with Facebook, tracking campaigns, optimising the “funnel” or any of that complicated, “techy” stuff. All they have to do is respond to the leads I send them. I also run the text and email automation on the back-end, so that they activate as many leads as possible and only speak to the most qualified. In terms of funnels, I go from Facebook Ad to a survey with 10-15 questions. Each question is specifically designed to weed out bad prospects and simultaneously get great prospects to self-select. After the survey, they go to a thank you page where they can book a phone call in your calendar. Some people will book a call immediately... some won’t. For the people who don’t book a call, my automation will kick in with a series of emails and texts to activate the respondents and get people to put their hands up. Finally, once the prospect “activates” and becomes warmer (based on a strict set of criteria), the automation tees up the client document collection with FileInvite. When all’s said and done, doing it this way generates high-quality, pre-qualified leads for $20-50 a pop. Far cheaper than every single other option on this list, and probably every other lead gen option around. If you’re serious about growing your mortgage brokerage in 2019 and beyond, hire someone to run your Facebook Ads. You’ll see a far higher return there than anywhere else. Of course, it needs to be someone with a solid track record, plenty of experience and a laundry list of case studies and success stories. It doesn’t have to be me, but I’m available if you need me. In fact, I offer free strategy sessions to mortgage brokers who want to tap into the vast power of Facebook for lead gen without getting caught up in the details. If that’s you, book in a free call here. I do this as a service to the community, because I love helping other business owners succeed and get ahead... and because I know that some of the people I speak to will become clients of mine. Either way, there’s no pressure and no obligation. Just remember, if you try to do it yourself or you don’t do anything at all... the next few years will be very difficult for you. So don’t ignore this. Book a call with me and let’s talk lead gen for mortgage brokers.